Inspect the mirror switch continuity. 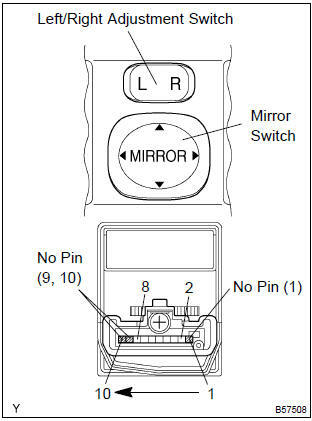 Right side for left/right adjustment switch: inspect the mirror switch continuity. 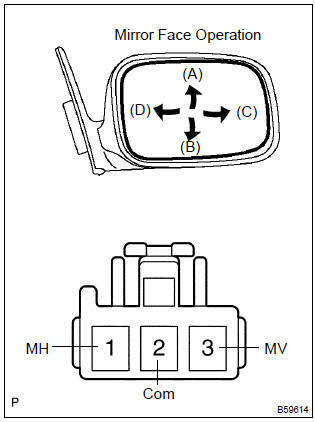 Disconnect the outer rear view mirror assembly lh connector. inspect the mirror motor operation. Apply battery voltage as shown in the table. If the result is not as specified, replace the mirror assembly. 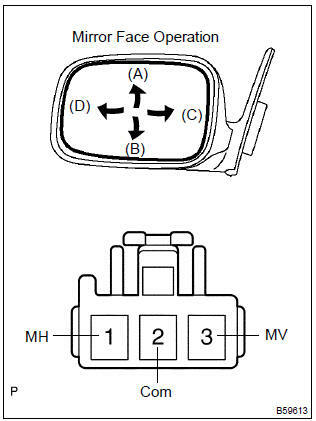 Disconnect the outer rear view mirror assembly rh connector.